They always tell you that you should try new things and do new things, that it is good for you to grow and change as a person. (And really, who is “they”?) Depends on the day, but sometimes I want change and other times I don’t. However, when I think about the over-all big picture of my life, I do want to continue to change and grow as a person. So, here is a list of 5 New Things that I have done or want to do this month. 1. I have a new favorite word. “Brilliant”- I don’t know why, but I love using it all the time. If you have been around me, you are probably annoyed and want to be nice and not say anything. Since school is starting up and we have several new staff members I have made several new friends and look forward to getting to know them better this year. 3. Got up and ran in the morning before work. This is actually the hardest thing on my list. I mean, who likes or wants to get up at 5:30am. NO ONE. I don’t but I did it anyway. Actually, I did this twice. The plus side of things is that I don’t have to workout after work, I can just go home and take a nap. 4. Ate only vegetables for dinner. I didn’t really have anything else in my fridge. So I roasted up some zucchini, red pepper, and yellow squash, and put some parmesan cheese on it. It was a very filling dinner and very low calorie. The great thing about veggies is that you can eat a whole plate full and not bust the calorie bank. 5.Going to see a movie in 3D! 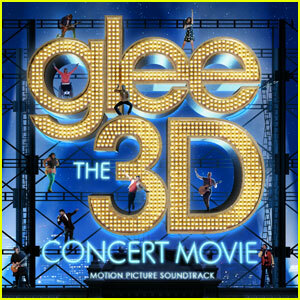 I can not wait to see Glee in 3D. I am not really one to see movies in 3D but I am rewarding myself for running and eating veggies by going to see this movie! What are some new things you are hoping to do or have done this month? What new things could you do with friends? Empire State of Mind aka More of NY Trip!